advise in the mainstreaming of indigenous peoples issues within the UN system, and strengthen mutual collaboration. 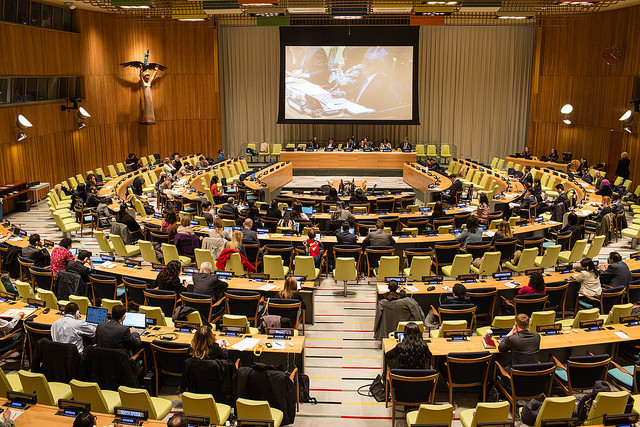 In 2015, the IASG finalised the system-wide action plan for ensuring a coherent approach within the United Nations to achieving the ends of the UN Declaration on the Rights of Indigenous Peoples. The system-wide action plan was requested in the Outcome Document of the World Conference on Indigenous Peoples (2014). It was developed by the IASG over 10 months, in consultation with indigenous peoples, members states, UN agencies and other stakeholders. The Secretary-General Ban Ki-moon shared the system-wide action plan with heads of UN system agencies at the meeting of the United Nations Chief Executives Board in November 2015. The IASG members are now in the process of implementing the SWAP. For instance, the UN Department of Information (UN DPI) is leading an IASG working group on SWAP Action Element 1 related to awareness raising on the rights of indigenous peoples. The group is drafting a joint communication strategy. Key outreach resources from the UN system are available at the TRELLO board. The IASG Chair rotates annually and has been held by the ILO, the World Bank, WIPO, UNDP, IFAD, the Secretariat of the Convention on Biological Diversity (SCBD), UNESCO, UNEP and UN-HABITAT, WHO, UNFPA, OHCHR, UNICEF and FAO, IFAD and ILC. In 2017, the IASG is chaired by UN Women. The SPFII is the permanent co-chair.